Here you will find all our latest shock conversion kits for the KTM 450 and 525. All our kits are 100% satisfaction guaranteed! We will not have one unhappy customer! All our kits are designed and fully tested before anything is released to the public. 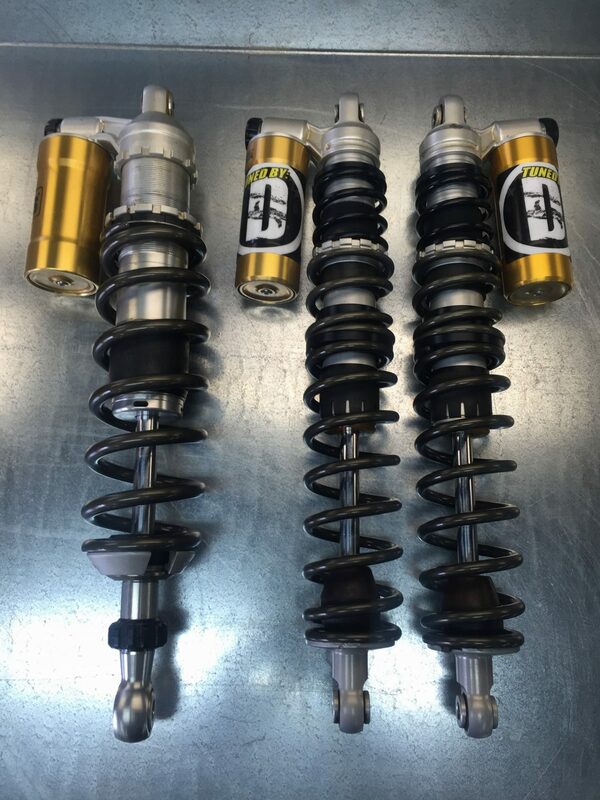 We take OEM shocks and design our kits to get maximum travel and performance out of stock components. If you have any questions about any of our OEM conversions please email our Technical Department. If you have questions on weather or not your KTM has the Tavel Updates contact our technical department and we can help you.